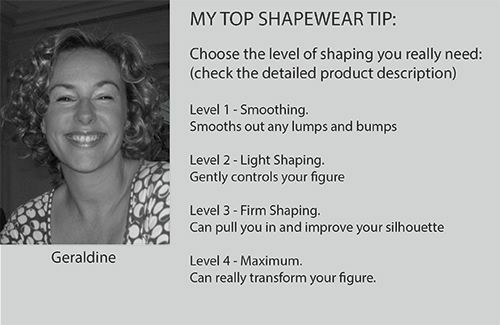 I have put together a unique selection of shapewear which can really enhance your figure. Whether you want to pinch yourself in a bit, smooth out a few lumps and bumps, or actually increase your curves - you will find something here to help. If you need any advice please feel free to email me on: info@totallycurvy.co.uk - or call / leave a message on Tel: 07970 075964.